Wow people in the 16th Century knew how to party. 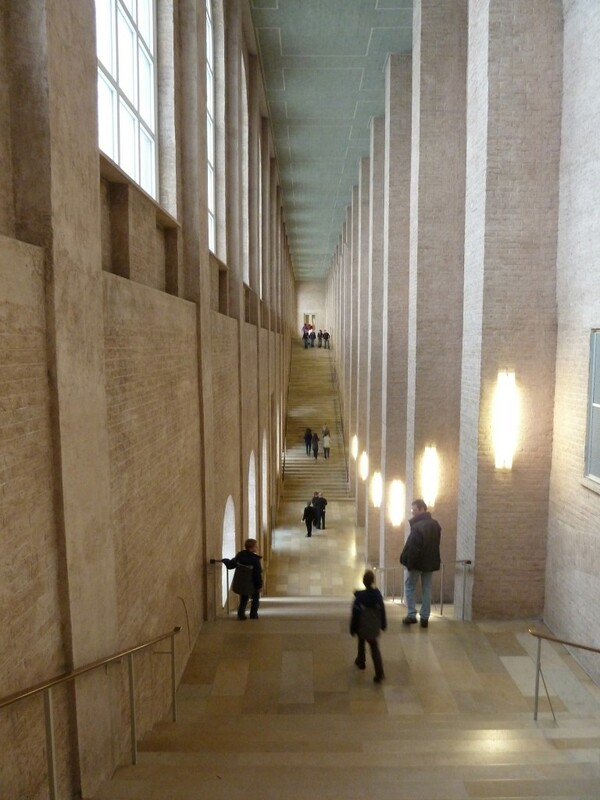 We visited the Alte Pinakothek museum today. This lovely gallery covers ‘old’ art. The 19th Century is covered in a separate ‘new’ gallery, and the 20th in another ‘modern’ gallery. We were, as a family, most taken with the Bruegels: scenes of buxom peasants having a jolly good time. It’s hard to believe people back then were really that well fed, or careless of their cod-piece attachments, but it doesn’t make them any the less entertaining. Art of this period is less about art as such, although many pieces are beautiful, and more about being as close as we’ll get to a photo of life 500 years ago. It may well have been propaganda for an idyllic life that didn’t really exist, but that still makes it something close to a slice of life from this distance. We found one wonderful painting of a market that was just loaded with detail. I’m still trying to work out why people would stack bricks on a cart at 45-degrees to form a peak, instead of stacking them flat. Any thoughts would be appreciated. We also found a really unusual painting where the artist had tried to capture a frozen moment – something completely at odds with what everyone else was doing 500 years ago. The moment was the split second when someone was discovered cheating at cards. The table was being overturned, beer was spilling from a jug, people were shocked as they lunged at each other. This is the sort of stuff that pulls even two tired young kids back into attention. Ah, travelling with kids – it really reduces even high art down to the basics. Give them a table being tossed while a card cheat tries to draw his sword, and we’re all happy.